1. It’s the ultimate “happy ever after” tale. Pride & Prejudice established the template for an infinity of romance novels, yet no subsequent love story has ever come close to equaling the delights of the original. In P&P, opposites repel then attract: Mr. Darcy is sullen and arrogant. Elizabeth is vivacious and charming. He is rich, she is poor. He is madly in love, she can’t bear him. 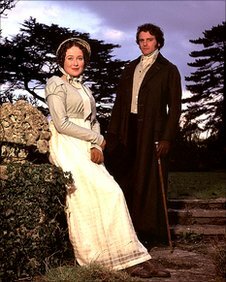 In a scene both hilarious and dramatic, Elizabeth squashes Mr. Darcy’s massive pride when she rejects his first proposal. To win her, Darcy is forced to change, to become more kind and polite. But Elizabeth also changes, though her journey from prejudice is less visible. 3. It’s the rom-com of all rom-coms. 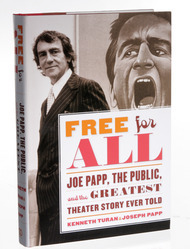 Which is why P&P has been adapted for screens big and small around the world. Mr. Darcy and Elizabeth have been portrayed by Laurence Olivier and Greer Garson (1940) and Matthew Macfadyen and the radiant Keira Knightley (2005). There is even a 2004 Bollywood musical, Bride and Prejudice. But for many fans, the ultimate adaptation is the 1995 BBC miniseries starring Jennifer Ehle. Her co-star Colin Firth may have won an Oscar playing a British monarch, but to Darcy fans, he is a god thanks to a certain scene involving a wet white shirt. These days, you can watch a Web adaptation on YouTube called The Lizzie Bennet Diaries, which stars Ashley Clements as Lizzie. 7. Back then, well-off people’s purpose really was to eat, drink and be merry. Name the one activity that Mr. Darcy, Bingley, Sir Lucas and Mr. Bennet all avoid: Work! They visit the ladies. Hunt birds. Attend balls. Ride horses. Travel. The one worker bee in the bunch — Elizabeth’s uncle Mr. Gardiner — is socially handicapped because of that icky thing called his job. Even military life appears to be a social club for swanky young studs — pretty remarkable since P&P was published at time when Napoleon was rampaging through Europe. 8. Now, as then, we choose to see what we want. First Impressions was Austen’s original title. Though far less catchy, it does convey perfectly Austen’s important message: First impressions are often wrong. For example, Darcy’s little sister is often mistaken for proud when she’s simply painfully shy. Other first impressions are dangerous. P&P‘s one truly evil character is the slick seducer Wickham, who charms everyone, even Elizabeth, who prides herself on being nobody’s fool. 9. Hypocrisy is always good for a laugh. Some of Austen’s funniest and sharpest scenes involve hypocrites. There’s Mr. Collins, the clergyman. Upon learning that his teenage cousin Lydia is living in sin, this man of God writes a letter to Mr. Bennet, noting that “the death of your daughter would have been a blessing in comparison” and closes by urging, “Let me then advise you, dear sir, to console yourself as much as possible, to throw off your unworthy child from your affection forever, and leave her to reap the fruits of her own heinous offense.” Nice. ​And while Mrs. Bennet embarrasses her family with her loud voice and silly ways, she’s Emily Post compared with the snobbish Lady Catherine de Bourgh, the novel’s rudest character. 10. Technology might change, but human nature remains the same. Give cellphones to the youngest Bennet daughters — the boy-crazy shopaholics Kitty and Lydia — and they would fit right in at any high school. Their father is every Baby Boomer dad ignoring both his upside-down mortgage and his out-of-control kids. The one homely Bennet female, Mary, is the 19th-century version of an insecure, overachieving nerd. 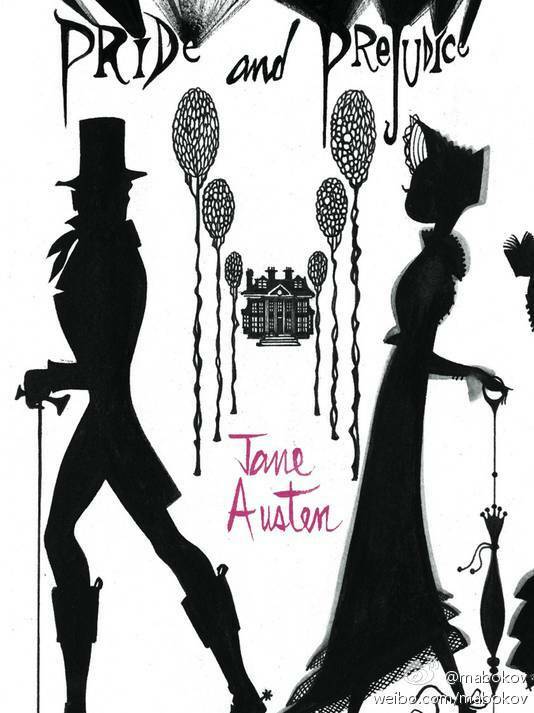 In the end, although Austen crafted her characters with a quill pen dipped in ink, they have remained fresh, instantly recognizable and fascinating for 200 years. Whether people read P&P on a print page, a tablet or some future gadget, the love story of how Mr. Darcy won Elizabeth Bennet, will, no doubt, continue to captivate readers for another two centuries. 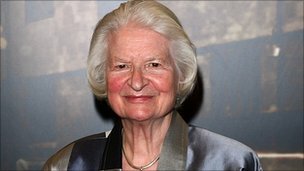 Crime writer PD James is to publish a novel that puts murder at the heart of Jane Austen’s Pride and Prejudice. Death Comes to Pemberley, which is due out in November, is set six years after the events of Austen’s tale of romance and social advancement. It sees Darcy and Elizabeth’s marriage thrown into disarray when Lydia Wickham arrives unannounced and declares her husband has been murdered. 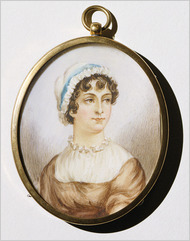 James said it had been “a joy” to immerse herself in Austen’s world. 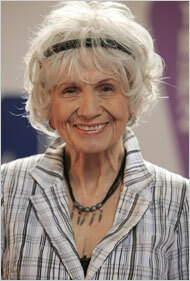 The 91-year-old is best known for her series of novels starring detective and poet Adam Dalgleish. Speaking to the BBC during the writing of Death At Pemberley, she refused to give away any details. “It’s rather secret at the moment, because it’s something entirely new,” she told Radio 4’s Today programme. She added she was wary of writing further adventures for her enigmatic detective. “I would love to do another Dalgleish,” she said, “but it seemed to me the last book was somewhat valedictory. Stephen Page, head of James’s publishers Faber, said Death At Pemberley was an “elegant, intelligent and moving” book. “It is always a moment of great excitement when PD James delivers a new novel but the brilliance of both the idea and the execution on this occasion is simply breathtaking”. Austen’s novel was originally published in 1813, and James is far from being the first writer to foray into the world she created. In fact, more than 40 “Austenesque” novels were published in 2010 alone. Notable examples of the genre include Darcy’s Story by Janet Aylmer, which retells Pride And Prejudice from the point of view of the antagonist, and Seth Grahame-Smith’s parody Pride And Prejudice And Zombies, which is currently being turned into a Hollywood movie and video game. 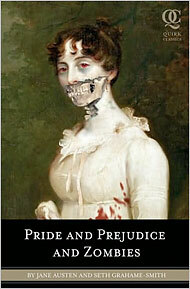 The book “Pride and Prejudice and Zombies” is one of several projects that mixes hoary costume drama with horror.